The Inspired Version (Joseph Smith’s New Translation) of the Bible is an amazing book. It stands with the Book of Mormon as tangible evidence that the Restored Gospel ever occurred. The Inspired Version restores many parts left out of the Bible (RLDS D&C 22:24 or Moses 1:41) which were given as God appointed (RLDS D&C 42:15 or LDS D&C 42:56) even from His own bosom (RLDS D&C 34:5b or LDS D&C 35:20). But aside from all of this, its value is especially evident when compared to other Bible translations. Except for the stories in Genesis of the creation, Adam & Eve, Enoch, and Melchizedek, it is difficult to appreciate the genius of the Inspired Version without comparing it to other versions, which pale in comparison to its clarity of meaning and true representation of the nature of God. The purpose of this blog is to allow you to do such a comparison, hopefully in a way that is a little fun. However, before we do that, I want to state some things about the Inspired Version for you to consider. How it was made helps to give the New International Version its distinctiveness. The translation of each book was assigned to a team of scholars. Next, one of the Intermediate Editorial Committees revised the initial translation, with constant reference to the Hebrew, Aramaic or Greek. Their work then went to one of the General Editorial Committees, which checked it in detail and made another thorough revision. This revision in turn was carefully reviewed by the Committee on Bible Translation, which made further changes and then released the final version for publication. In this way the entire Bible underwent three revisions, during each of which the translation was examined for its faithfulness to the original languages and for its English style. Another criticism of the Inspired Version is Joseph’s claim that God told him the changes to make to the King James Version. Similarly, Moses claimed that God spoke to him. Even though Moses lived four hundred years after the people of Israel became slaves in Egypt, he wrote the first book of the Bible, Genesis, which is an account of the creation and the events leading up to the time of Moses. So, how did Moses know what to write? God revealed it to him. If we can believe that God revealed all of Genesis to Moses so he could write it, is it not just as easy, or possibly easier, to believe that God could reveal to Joseph corrections to the King James Version? Conversly, if we do not believe God could reveal to Joseph the corrections to make to the King James Version, how can we believe He told Moses what to write for Genesis? Like all translations of the Bible, made as they are by imperfect man, this one undoubtedly falls short of its goals. Yet we are grateful to God for the extent to which he has enabled us to realize these goals and for the strength he has given us and our colleagues to complete our task (New International Version, Preface revised 1983, pp. ix–x). We, Joseph Smith, Jr., and Sidney Rigdon, being in the Spirit on the sixteenth of February, in the year of our Lord one thousand eight hundred and thirty-two, by the power of the Spirit our eyes were opened, and our understandings were enlightened, so as to see and understand the things of God; even those things which were from the beginning before the world was, which were ordained of the Father, through his only begotten Son, who was in the bosom of the Father, even from the beginning, of whom we bear record, and the record which we bear is the fullness of the gospel of Jesus Christ, who is the Son, whom we saw and with whom we conversed in the heavenly vision; for while we were doing the work of translation, which the Lord had appointed unto us, we came to the twenty-ninth verse of the fifth chapter of John, which was given unto us as follows: speaking of the resurrection of the dead, concerning those who shall hear the voice of the Son of man, and shall come forth; they who have done good in the resurrection of the just, and they who have done evil in the resurrection of the unjust. Now this caused us to marvel, for it was given unto us of the Spirit, and while we meditated upon these things, the Lord touched the eyes of our understandings, and they were opened, and the glory of the Lord shone round about; and we beheld the glory of the Son, on the right hand of the Father, and received of his fullness; and saw the holy angels, and they who are sanctified before his throne, worshiping God and the Lamb, who worship him for ever and ever. From these two statements there is a great difference between the authority of the two Bibles. One was corrected by man and one by God. It is important to understand that there are no original manuscripts of any part of the Bible in existence today. All that was available for the New International Version were copies of copies of copies, etc., of translations of the original. Thus, the accuracy of the New Internation Version, done by man, is only as good as the copies of the translations they used. The advantage of the Inspired Version is that God gave Joseph the corrections to the scriptures as they were in His own bosom. God revealed to Joseph the changes to make — just like He revealed to Moses what to write for Genesis. Joseph did not have to rely upon copies of translations for his source material. God, the original giver of all the scriptures, was Joseph's source material. Which Bible do you want to read — one corrected by the best efforts of men, or one corrected by God? I will take the one corrected by God any day since it should be the most accurate. Now for the fun part. The time has come for you to decide how the Inspired Version compares to other versions of the Bible. The list below compares a few verses from the Inspired Version (IV) with corresponding verses from the New International Version (NIV) and the King James Version (KJV), which are the two most popular versions of the Bible in the United States according to the CBA, an association of Christian retailers. It is interesting to note that the current popularity of the King James Version, which Joseph used as a basis for the Inspired Version in the 1830s, demonstrates that the Inspired Version is still relevant to today’s Bible reader. Your job is to choose the scripture from each verse below that has the clearest meaning and is most representative of the true nature of God: unchangeable, just, merciful, truthful, no respecter of persons, loving, righteous, etc. Please read and consider each scripture carefully because some of the differences are subtle, but nevertheless important. (If you have difficulty understanding the differences, please reply to the blog and I will explain them.) The scriptures below do not show the version of the Bible from which they came. I purposely did this so the Bible version would not influence your choices. However, the answer key is at the very bottom of the page so you can know what version you selected. If God is the author of the Inspired Version as Joseph claimed, then it should come out the winner — the version you chose the most. Also, after doing this exercise, if you are interested in more comparisons of the Inspired Version to other Bible versions, I suggest you obtain Three Bibles Compared or Unbelievable Differences between King James Version and Inspired Version or Joseph Smith’s “New Translation” of the Bible. While these are RLDS sources, there may be LDS sources of which I am unaware that are as good or better than these. If you know of any, please tell me what they are. So now to the exercise. Enjoy and have fun. Keep score if you like and let me know how you did. And if the prophet be deceived when he hath spoken a thing, I the Lord have not deceived that prophet; therefore I will stretch out my hand upon him, and will destroy him from the midst of my people Israel. And if the prophet is enticed to utter a prophecy, I the LORD have enticed that prophet, and I will stretch out my hand against him and destroy him from among my people Israel. Therefore not leaving the principles of the doctrine of Christ, let us go on unto perfection; not laying again the foundation of repentance from dead works, and of faith toward God. Of the doctrine of baptisms, of laying on of hands, and of the resurrection of the dead, and of eternal judgment. Then said Jesus, Father, forgive them; for they know not what they do. (Meaning the soldiers who crucified him,) and they parted his raiment and cast lots. Then said Jesus, Father, forgive them; for they know not what they do . And they parted his raiment, and cast lots. Verily I say unto you, I have not found so great faith; no, not in Israel. And I say unto you, that many shall come from the east, and the west, and shall sit down with Abraham, and Isaac, and Jacob, in the kingdom of heaven. But the children of the wicked one shall be cast out into outer darkness; there shall be weeping and gnashing of teeth. When Jesus heard it, he marvelled, and said to them that followed, Verily I say unto you, I have not found so great faith, no, not in Israel. And I say unto you, That many shall come from the east and west, and shall sit down with Abraham, and Isaac, and Jacob, in the kingdom of heaven. But the children of the kingdom shall be cast out into outer darkness: there shall be weeping and gnashing of teeth. And many will say unto me in that day, Lord, Lord, have we not prophesied in thy name; and in thy name cast out devils; and in thy name done many wonderful works? And then will I say, Ye never knew me; depart from me ye that work iniquity. And as they were eating , Jesus took bread, and blessed it, and brake it, and gave it to the disciples, and said , Take , eat ; this is my body. And as they were eating, Jesus took bread and brake it, and blessed it, and gave to his disciples, and said, Take, eat; this is in remembrance of my body which I give a ransom for you. And the Lord said unto Moses, If they will repent of the evil which they have done, I will spare them, and turn away my fierce wrath…. I have set up Saul to be a king, and he repenteth not that he hath sinned, for he is turned back from following me, and hath not performed my commandments. And it grieved Samuel; and he cried unto the Lord all night. And it came to pass , that after three days they found him in the temple, sitting in the midst of the doctors, both hearing them, and asking them questions. And all that heard him were astonished at his understanding and answers. After three days they found him in the temple courts, sitting among the teachers, listening to them and asking them questions. Everyone who heard him was amazed at his understanding and his answers. And it came to pass, after three days they found him in the temple, sitting in the midst of the doctors, and they were hearing him, and asking him questions. And all who heard him were astonished at his understanding, and answers. I indeed have baptized you with water; but he shall not only baptize you with water, but with fire, and the Holy Ghost. And the Lord said unto Moses, When thou goest to return into Egypt, see that thou do all those wonders before Pharaoh, which I have put in thine hand, and I will prosper thee; but Pharaoh will harden his heart, and he will not let the people go. And the Lord said unto Moses, See, I have made thee a prophet to Pharaoh; and Aaron thy brother shall be thy spokesman. Thou shalt speak unto thy brother all that I command thee; and Aaron thy brother shall speak unto Pharaoh, that he send the children of Israel out of his land. And the LORD said unto Moses, See, I have made thee a god to Pharaoh: and Aaron thy brother shall be thy prophet. Thou shalt speak all that I command thee: and Aaron thy brother shall speak unto Pharaoh, that he send the children of Israel out of his land. Then the LORD said to Moses, "See, I have made you like God to Pharaoh, and your brother Aaron will be your prophet. You are to say everything I command you, and your brother Aaron is to tell Pharaoh to let the Israelites go out of his country. And it came to pass, when the evil spirit, which was not of God, was upon Saul, that David took a harp, and played with his hand; so Saul was refreshed, and was well, and the evil spirit departed from him. And it came to pass, when the evil spirit from God was upon Saul, that David took an harp, and played with his hand: so Saul was refreshed, and was well , and the evil spirit departed from him. And the third day there was a marriage in Cana of Galilee; and the mother of Jesus was there: And both Jesus was called, and his disciples, to the marriage. And when they wanted wine, the mother of Jesus saith unto him, They have no wine. Jesus saith unto her, Woman, what have I to do with thee? mine hour is not yet come. On the third day a wedding took place at Cana in Galilee. Jesus' mother was there, and Jesus and his disciples had also been invited to the wedding. When the wine was gone, Jesus' mother said to him, "They have no more wine." "Dear woman, why do you involve me?" Jesus replied. "My time has not yet come." And on the third day of the week, there was a marriage in Cana of Galilee; and the mother of Jesus was there. And Jesus was called, and his disciples, to the marriage. And when they wanted wine, his mother said unto him, They have no wine. Jesus said unto her, Woman, what wilt thou have me to do for thee? that will I do; for mine hour is not yet come. Neither shalt thou countenance a wicked man in his cause. Then said Jesus unto his disciples, If any man will come after me, let him deny himself, and take up his cross and follow me. And now for a man to take up his cross, is to deny himself all ungodliness, and every worldly lust, and keep my commandments. In that hour Jesus rejoiced in spirit, and said, I thank thee, O Father, Lord of heaven and earth, that thou hast hid these things from them who think they are wise and prudent, and hast revealed them unto babes; even so, Father; for so it seemed good in thy sight. In that hour Jesus rejoiced in spirit, and said , I thank thee, O Father, Lord of heaven and earth, that thou hast hid these things from the wise and prudent, and hast revealed them unto babes: even so, Father; for so it seemed good in thy sight. The priests are to keep my requirements so that they do not become guilty and die for treating them with contempt. I am the LORD, who makes them holy. They shall therefore keep mine ordinance, lest they bear sin for it, and die; therefore, if they profane not mine ordinances, I the Lord will sanctify them. Take heed that ye despise not one of these little ones; for I say unto you, that in heaven their angels do always behold the face of my Father who is in heaven. For the Son of Man is come to save that which was lost, and to call sinners to repentance; but these little ones have no need of repentance, and I will save them. "See that you do not look down on one of these little ones. For I tell you that their angels in heaven always see the face of my Father in heaven. Ye shall not eat of anything that dieth of itself; thou shalt not give it unto the stranger that is in thy gates, that he may eat it; or thou mayest not sell it unto an alien; for thou art a holy people unto the Lord thy God. Thou shalt not seethe a kid in his mother's milk. And if you walk in my ways and obey my statutes and commands as David your father did, I will give you a long life. And if thou wilt walk in my ways, to keep my statutes and my commandments, as thy father David did walk , then I will lengthen thy days. For it came to pass, when Solomon was old, his wives turned away his heart after other gods; and his heart was not perfect with the Lord his God, and it became as the heart of David his father. For Solomon went after Ashtoreth the goddess of the Zidonians, and after Milcom the abomination of the Ammonites. And Solomon did evil in the sight of the Lord, as David his father, and went not fully after the Lord. And rent the kingdom away from the house of David and gave it thee, because he kept not my commandments. But thou hast not been as my servant David, when he followed me with all his heart only to do right in mine eyes. Whosoever is born of God doth not commit sin; for his seed remaineth in him: and he cannot sin , because he is born of God. My soul is continually in thy hand; and I do not forget thy law. And the time, O Lord, for me to work; for they have made void thy law. It is time for thee, LORD, to work : for they have made void thy law. When the righteous smite me with the word of the Lord it is a kindness; and when they reprove me, it shall be an excellent oil, and shall not destroy my faith; for yet my prayer also shall be for them. I delight not in their calamities. So man will be brought low and mankind humbled—do not forgive them. And the mean man boweth not down, and the great man humbleth himself not; therefore forgive them not. My brethren, ye cannot have the faith of our Lord Jesus Christ, the Lord of glory, and yet have respect to persons. Now if there come unto your assembly a man with a gold ring, in goodly apparel, and there come in also a poor man in vile raiment; And ye have respect to him that weareth the gay clothing, and say unto him, Sit thou here in a good place; and say to the poor, Stand thou there, or sit here under my footstool; Are ye not then in yourselves partial judges, and become evil in your thoughts? Thanks so much for posting all that. It was so enlightening. I got a few wrong but mostly I was able to pick out the IV. I have been wondering about the Inspired Version for awhile and now I will for sure order one so I can study it. I have grown up LDS but now I only want to study the scriptures I know for sure that Joseph Smith published or wrote himself and approved of, like the original (D&C 1835 version), the original BoM and this inspired version of the Bible. Can't wait to read it. It is amazing how the Bible verses were so often changed to have such a different or opposite meaning, which is what I expected happened to them through the years. This inspired version is one more testament to me that Joseph was a true Prophet. For I can see the truth in his corrections. Thanks so much for making this so clear! Thanks for your comments. I really appreciate them. You can get an Inspired Version from the Restoration Bookstore online at http://restorationbookstore.org/mm5/merchant.mvc?Screen=CTGY&Store_Code=rbs&Category_Code=29d. Good luck with your studies. If you have any questions, don't hesitate to ask. you have got a great blog. I am interested in looking for more of such topics and would like to have further information. Thanks for the compliment. Specifically, what information would you like? 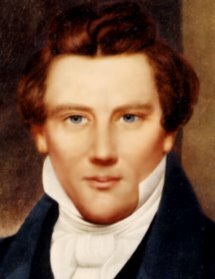 Do you have any thoughts on the account of the events of Joseph Smith's death? I have heard something about a gun being smuggled into the jail, and JS shooting some of the attackers, etc. However, the only survivors of the attack, who gave the most details, were also BY's closest pals and both apparently polygamists as of 1843, so something seems VERY fishy about these accounts. When you compare the eyewitness accounts—John Taylor and Willard Richards—with the physical layout of the jail, it is impossible to believe their accounts are true. So, why did they make them up? I believe to cover-up what actually happened. Young, Taylor, Richards and many of the Apostles were practicing polygamy by 1844 and Joseph and Hyrum were not. They both had given strong opposition to the practice in both sermons and written articles. In early June, 1844, Joseph had discussed with William Marks, Nauvoo Stake President, the need to begin action against those practicing polygamy. For the polygamists, time was running out and Joseph and Hyrum were standing in their way. While this cannot yet be proved, I believe they were killed by Taylor and Richards under the direction of Young. That is the only scenario that appears consistent with the layout of the jail and the wounds sustained by Joseph and Hyrum. Very! Very interesting and useful post! Thanks a lot for sharing it with us. Psalms 119:89 - "For ever, O LORD, thy Word is settled in heaven." End of story. Joseph saw a vision, but it wasn't from God. satan knows The Bible better than man; satan is a spiritual being, man is a physical being and easily fooled. You often compare your inspired version to the NIV. The NIV was written by five unsaved men and is very dangerous. I urge you to pray and study this out. No other version except the King James Version has been preserved for our English-speaking language. Check the historical facts if you don't believe the Biblical facts. I will be praying for all who read the inspired version, that their eyes will be opened to the real Truth. This message is sent with love, the love of Jesus, and heartfelt. I had hoped by comparing passages from the Inspired Version with the same passages from the NIV and King James Version (the two most popular Bibles) that you would have seen the value and inspiration of the Inspired Version. I guess not. I really can't comment about the salvation status of those involved in writing the NIV because the Bible (any version you choose) tells us not to judge. And one person stating that another person is not saved is human judgement at its best. This type of judgement should be left to the Lord, don't you think? I appreciate your prayers because I intend to continue to read the Inspire Version for the reasons set forth in this blog. To be fair, I have the same issue with my Douai-Rheims bibles. I have penned in the "standard" verse numbers in the margin to make comparison between different versions easier. Thanks for the link. It does make it easier comparing both versions. Jesus said: beware of false prophets, for they will try to deceive if possible even the very elect. I think I will go with Jesus on this one. Jesus saves! So what part of the Inspired Version deceives you? It is clear to me that the above Bible verse comparisons show that the Inspired Version is clearer (less deceiving) than the other versions.